An accounting of the ongoing damages, from failing dams to coal-ash ponds. 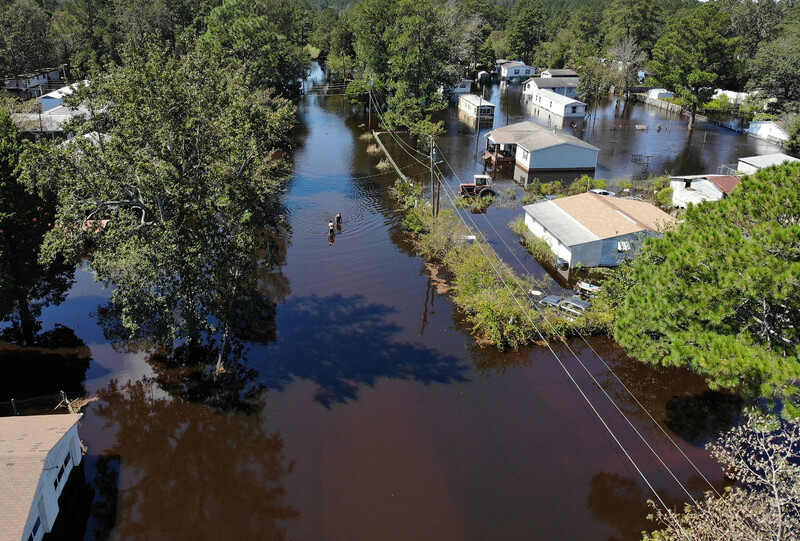 People walk through a flooded neighborhood after heavy rains brought on by Hurricane Florence on September 19th, 2018, in Lumberton, North Carolina. At least 31 people have died, many more were stranded, and thousands are still without power. In South Carolina, 11 dams have failed, according to the state&apos;s Department of Health and Environmental Control. 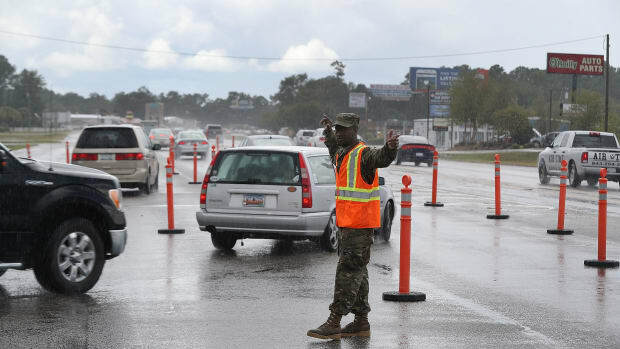 In North Carolina, hundreds of roads and bridges will require long-term repair, making it likely the most destructive storm for the state&apos;s infrastructure to date, according to the Charlotte Observer. As of Friday, the North Carolina Department of Environmental Quality has reported that more than 50 hog-waste pits, known as lagoons, have been inundated with floodwaters, spilling their toxic, bacteria-laden contents into flooded fields and beyond; six more have structural damage. In eastern North Carolina, environmental activist Kemp Burdette discovered many of these compromised lagoons in the Cape Fear River Basin. "These contaminated waters will flow through communities downstream, threatening homes, churches, schools, and anything else in their path," she told the environmental group Waterkeeper Alliance. 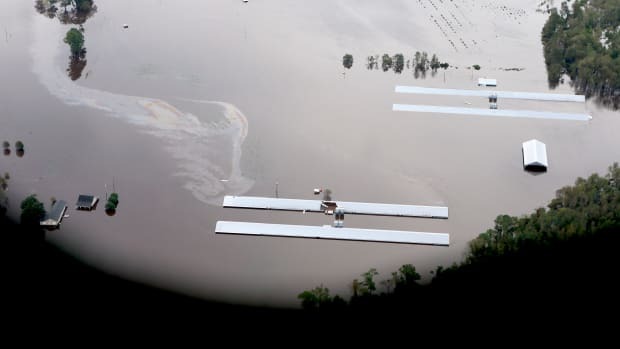 The floodwaters have also killed 5,500 pigs and millions of chickens, the News Observer reports. Floodwaters have completely engulfed toxic ash ponds at a coal-fired power plant owned by Duke Energy near Goldsboro, North Carolina. The storage site holds a collective 1.3 million tons of ash, which could contaminate the nearby Neuse River with heavy metals such as mercury and arsenic, Raleigh&apos;s WRAL-TV reports. 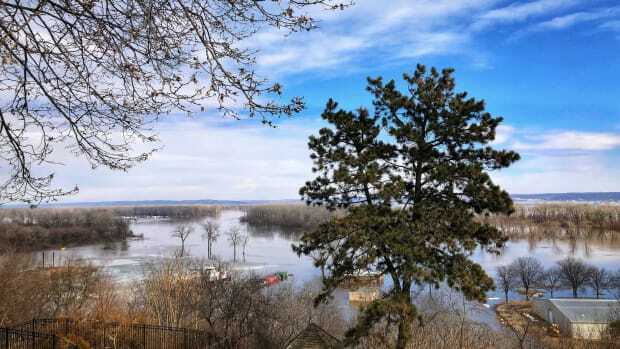 "Coal ash will continue spilling every minute of every day from the HF Lee coal ash ponds until floodwaters recede sometime later this week," Donna Lisenby, global advocacy manager for Waterkeeper Alliance, said in a statement Wednesday. By Friday, many communities remained flooded. Meanwhile, Waterkeeper predicts water-logged ash from another coal plant is headed toward the city of Wilmington. As residents return to flooded homes, the North Carolina Department of Health and Human Services is warning that buildings exposed to standing water during the storm may be contaminated with mold, which is particularly dangerous for people with asthma. 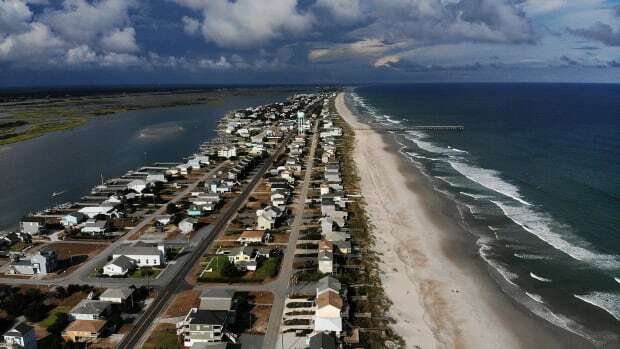 "Research determines that, during hurricane events like this, several other human health issues become magnified," Michael Mallin, professor at University of North Carolina–Wilmington&apos;s Center for Marine Sciences, told Pacific Standard, citing increased risk of asthma, higher incidences of insect bites, and unsafe exposure to mold. Some of the storm's risks are not so obvious, from rivers of toxic waste to unevacuated prisons. Hurricane Florence Is Heading for the East Coast. Who Will Be Affected? Disasters like this one have been found to disproportionately affect low-income people and people of color. State agencies and environmental groups have recorded several breached or overflowing hog-waste pits and coal ash ponds—and the floodwaters are still rising. As this water emergency quickly becomes a public-health crisis, here's what officials are reporting. North Carolina's Hog Waste Problem Has a Long History. Why Wasn't It Solved in Time for Hurricane Florence? 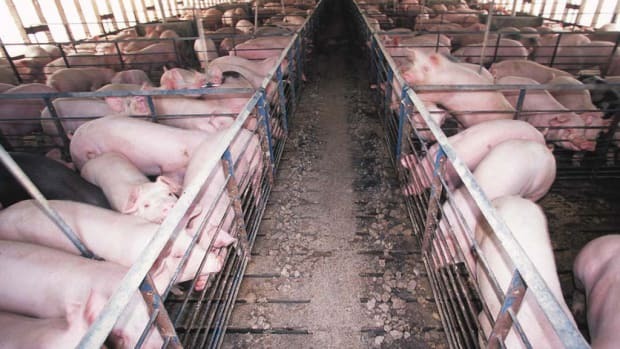 The hog industry is changing, but, as Hurricane Florence hits, history may be doomed to repeat itself. 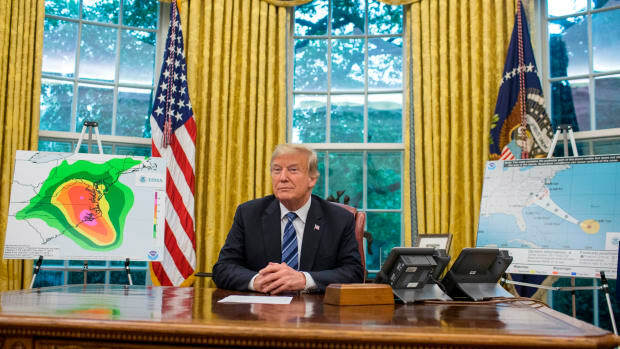 Trump Says the East Coast Is 'Absolutely Prepared' for Hurricane Florence. Is That True? If recent federal disaster response is any indication, the president's boast is wildly misleading.